Work directly with Jane Dunnewold in a 5-day workshop! 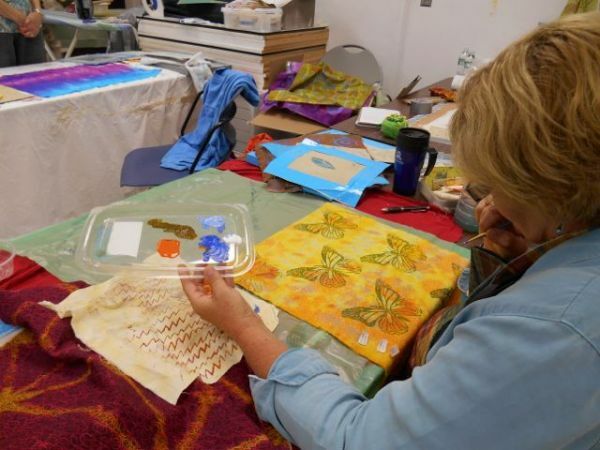 Three spots are now open for this opportunity to learn mixed media techniques on textiles directly from the master. Her workshop, “Surface Explorations” is at the Pacific NW Art Center on beautiful Whidbey Island from October 14th-18th. Jane Dunnewold is the President of SDA, the creative genius behind Art Cloth Studios, and a well-know author. 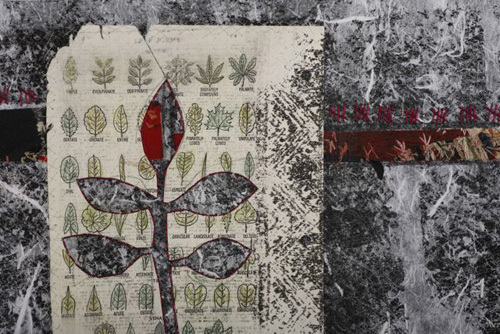 Spend the week exploring a large subset of processes that can be used on paper and fabric – all of which should be in every mixed media artist’s toolbox. These include photocopy solvent transfers, paper and metal leaf lamination, gilding, water media crayons, a French process called “devore'” – which literally “burns out” cellulose fiber when it is combined with synthetic paper or cloth, and the unexpected beauty of sanding into dry paint to generate gorgeous distressed surfaces. This entry was posted in Classes, SDA-National, Workshop and tagged Jane Dunnewold, Mixed Media, Pacific Northwest Art School, SDA. ← What Direction Would You Like To Take Your Art?